One of the primary roles of the SAC is to provide feedback from students about the effectiveness of CSF grants that directly impact their education. Each year, students collaborate with the CSF Board to identify grants to review based on their interests. Students work in small teams to analyze the impact and usage of the grant; gathering information about the grant and its impact. For larger grants, students analyze quantitative usage data and issue and analyze student and teachers surveys. Students present their preliminary work at a mid-year “Tollgate” to grantees and administrators to ensure accuracy of their work and receive feedback. Students incorporate ongoing feedback and collect additional data (if needed) for a final end of year presentation to the CSF Board. In a 2013 Horace Greeley survey, 88% of students said that the lecture format (teacher-directed) was the learning modality they encountered most often, but they said it does not promote retention of knowledge post-testing. Educational research suggested that a more interactive classroom configuration could improve teaching and learning. Before the classroom redesign, it was difficult to initiate group work with immobilized desks and chairs. There were also no areas for small groups to congregate. 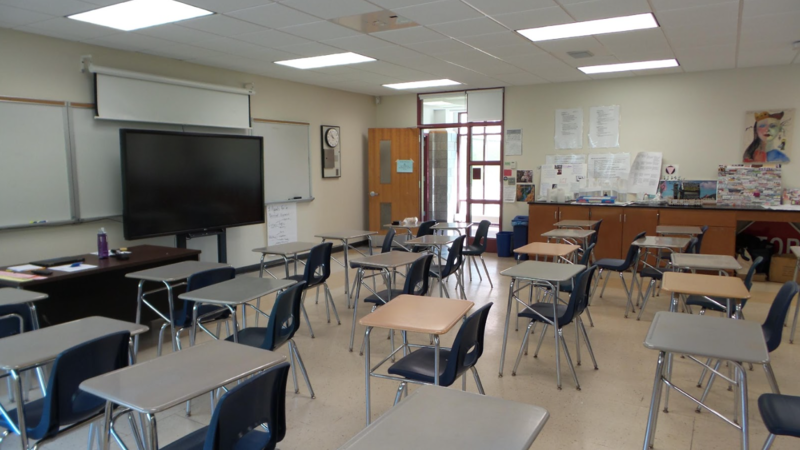 In 2015, a grant was requested to purchase furniture, as well as to install a wall with a write-on surface, that could be used to convert existing space at Horace Greeley HS into six innovative classrooms that would foster the development of 21st-century skills facilitate student collaboration. The Innovative Classroom Redesign grant provided a more dynamic, flexible and collaborative learning environment in six classrooms for 700 students in grades 9-12 at Horace Greeley. These redesigned classrooms enabled more creativity, problem-solving, and multi-disciplinary projects; in-depth inquiry; task-based self-directed learning; and increased collaboration. 89% of students (and 100% of teachers) prefer teaching/learning in a redesigned classroom compared to a traditional classroom. 71% of students (and 80% of teachers) agree or strongly agree that learning in a redesigned classroom fosters a student-centered environment in comparison to a traditional classroom. 77% of students (and 80% of teachers) believe learning a redesigned classroom improves the quality of class discussions compared to a traditional classroom. Now with mobile desks, chairs, and the addition of small group areas, student learning has greatly improved. Students also enjoy the vibrant colors, which helps wake them up and stay aware during class. The survey comments below are a sample of the feedback provided by teachers and students who took courses in the Innovative Redesigned Classrooms.